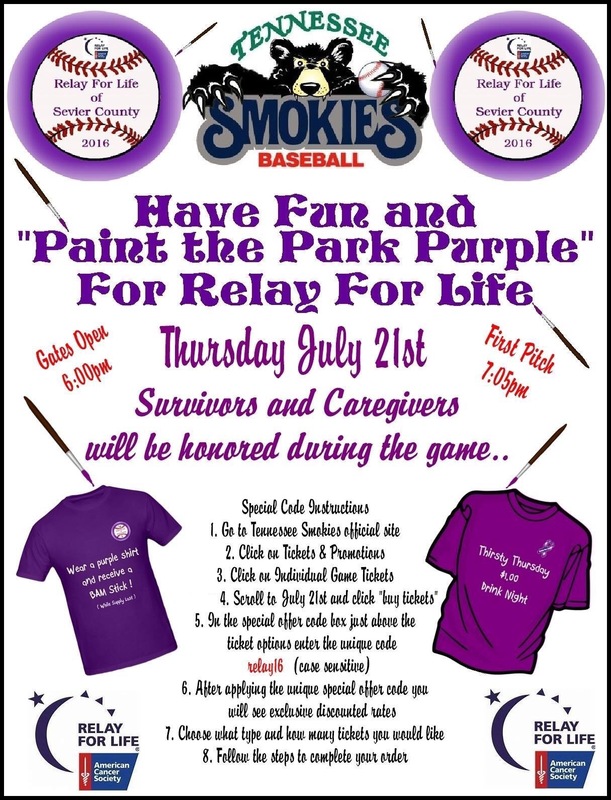 Support Relay For Life of Sevier County by wearing purple (my favorite color) and attending the game tonight at Smokies Stadium. Keep your eye on the ball. 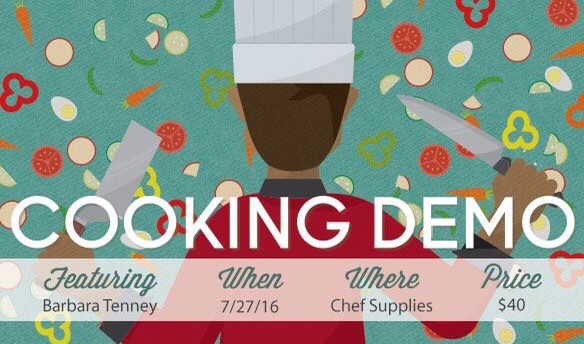 Contact KaTom to make your reservation to see local favorite, Barbara Tenney, cook a wonderful meal next Wednesday. You get the recipes, watch her cook, and eat a 3 course meal—plus time to shop in the KaTom store. I am looking forward to the next Art Happening downtown next week! 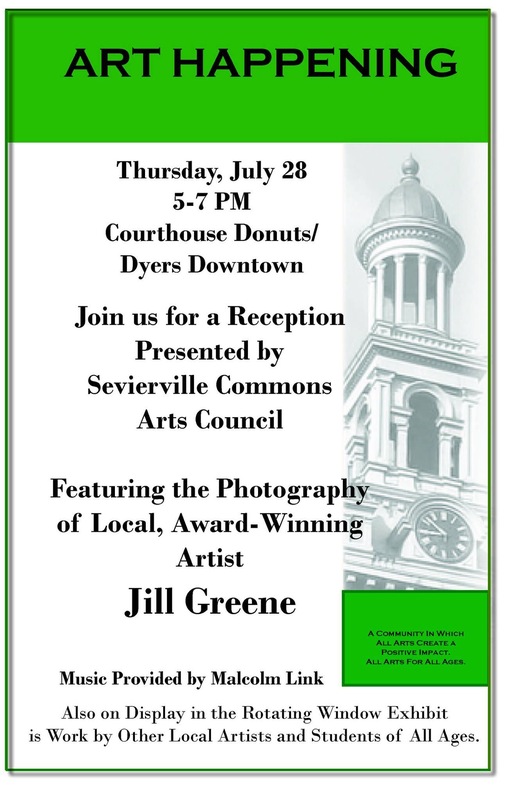 Come meet featured artist, Jill Greene, and see examples of her work. Meet more local artists and learn about arts in the community. Hear music from local favorite, Malcolm Link. Enjoy an evening event downtown. I am going to arrive early this time so see you there! Tomorrow and next Friday you can enjoy the downtown Farmers Market. Meet these artists and let them help you create something pretty to take home in the ‘make and take area’ near the history museum. I was impressed by the T-shirt screen printing last week. It is free! My friend Melinda will be helping them next week so go and say hello! 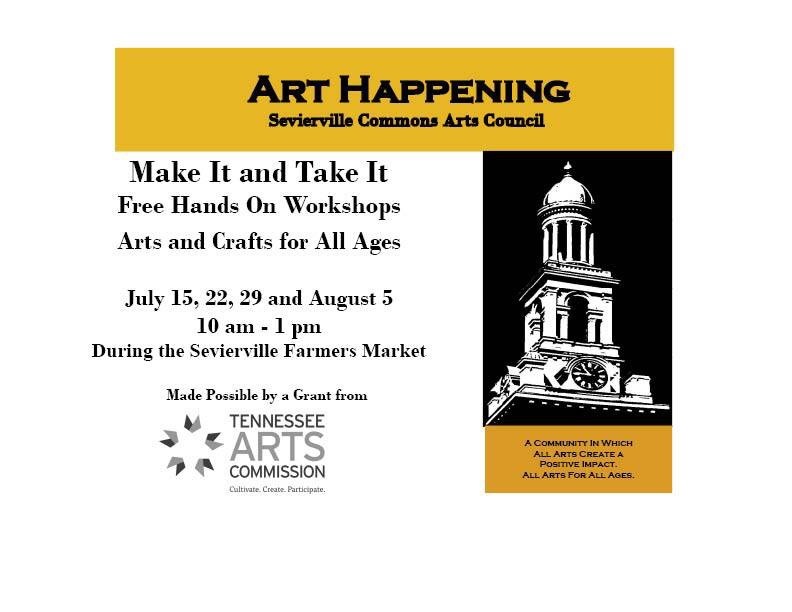 There is a lot going on in the next week out and about in Sevierville. Next Article Teachers rally for Senator Overbey at Sevierville Civic Center today.